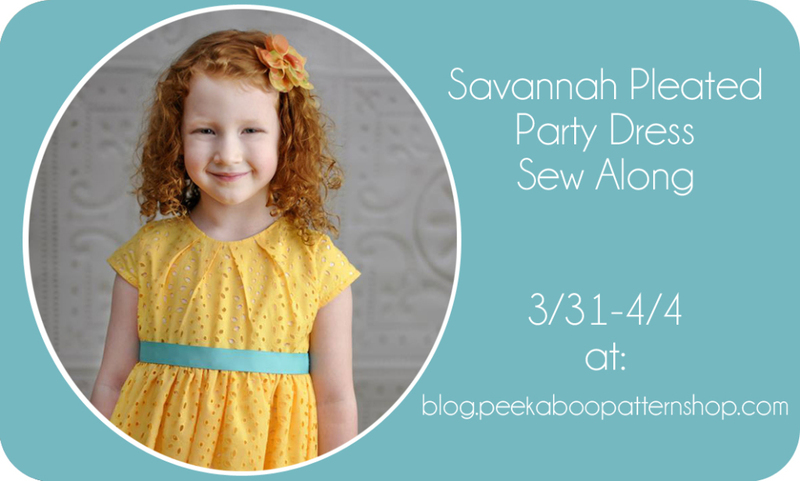 Savannah Sew Along Day 2 - Peek-a-Boo Pages - Patterns, Fabric & More! 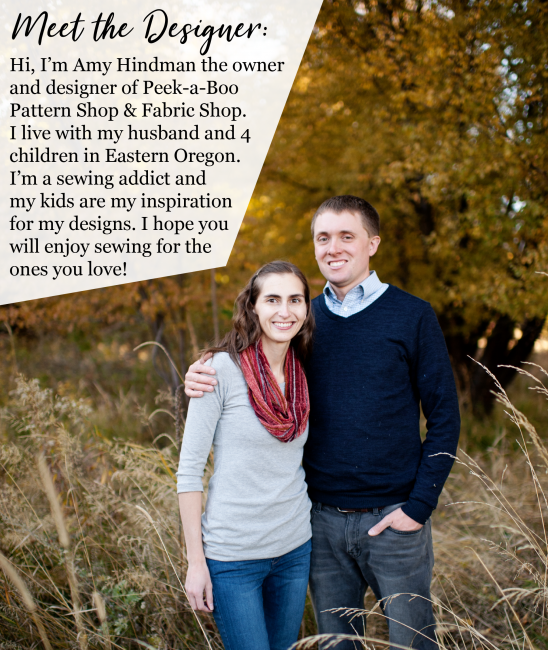 Welcome to Day 2 of the Savannah Sew Along! If you are included pleats, then it’s time to heat up that iron and get some pressing done 🙂 Make sure you follow the tip and lay your pleated bodice on top of the lining to make sure you have everything lined up and then baste the pleats in place and admire your work! Next you need to sew the front and back bodice pieces together. 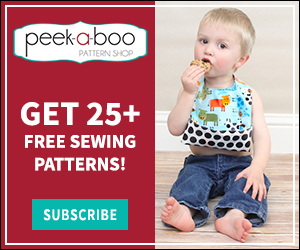 If you are using an eyelet, lace or overlay I highly recommend following the instructions for french seams so your seam is fully hidden. 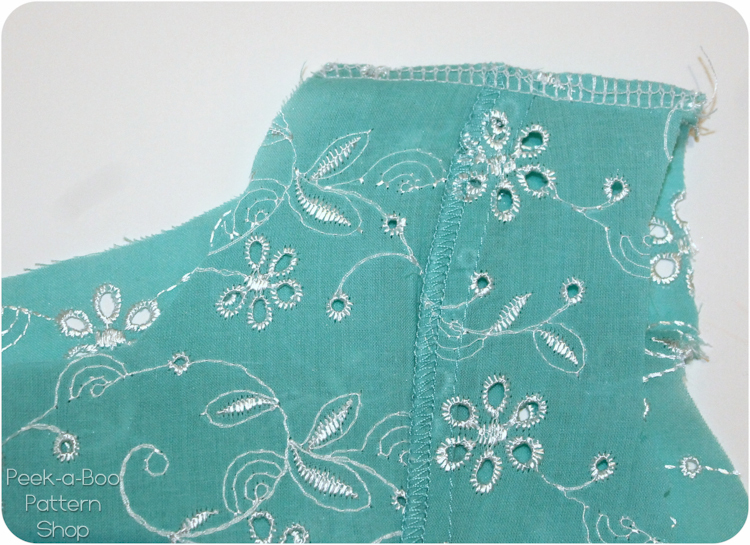 Anne’s dress didn’t have very many holes in the eyelet so I opted to just serge my seams to prevent fraying. When you prep. the bodice lining you will want to do french seams on those shoulders as well if you used an eyelet, lace or overlay for the main layer. If you are including the cap sleeves then continue on to steps 3 and 4. 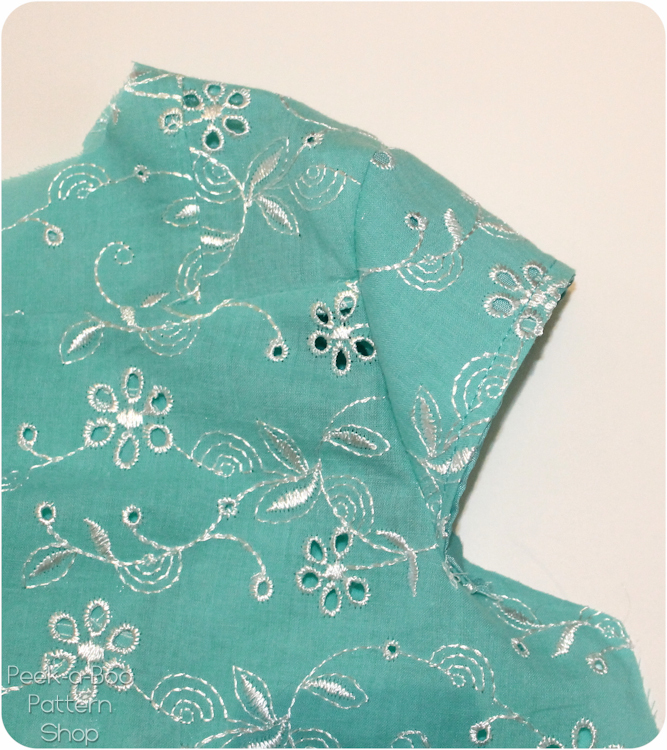 Make sure you line up the notch at the shoulder seam so the sleeve is centered and carefully sew into place. 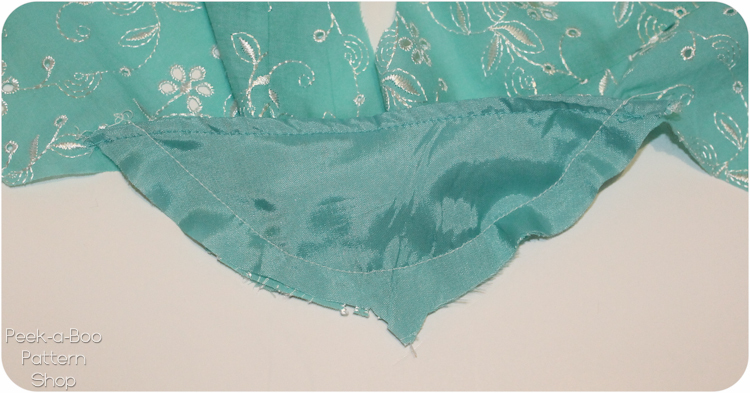 Join us tomorrow for the bodice lining and skirt!